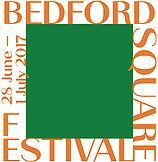 Our sister organisation, the Paul Mellon centre for the Study of British Art, is one of the lead sponsors of the Bedford Square Festival, which opens the doors of the cultural and educational organisations located in the Square to the public through an exciting programme of events. The Festival will celebrate the artistic, cultural and literary communities on this historic square. We hope to engage a diverse audience and inspire creative and educational opportunities. All our events are free (apart from Shakespeare in the Squares) and should be booked in advance. During the Festival we will be raising money for our charity partner Centrepoint who is the UK's leading charity for homeless young people.